‘IT ALL STARTED in 2007 when I was head of sales for Ciro Coffee, a secure job with a good salary and benefits. One day, as I drove into the office parking, I thought to myself, There’s got to be more to life than doing the same thing every day. That same day, I came across an ad for a sales and marketing manager. I applied and once I got invited to the interview, I saw it was with Khayelitsha Cookies. I turned up at a small unit in Ndabeni with four women baking biscuits. As I walked in, I had a vision of 1000 women working in the business. It was a defining day in my life. The directors of the company, who’d bought the business from an American running it on a trust fund, offered me the job. I was nervous and overjoyed at the same time. This was a gamble: I was giving up a secure job at a large corporate! However, I was only too aware that people in South Africa need work, and that government grants don’t cover the needs of the unemployed and their families. This was an opportunity that could provide more women with jobs, and somehow I just knew that this was now my purpose in life. I took a leap of faith and resigned from Ciro, taking a financial knock. It was scary and thrilling at the same time. My employers were a little disheartened about me leaving but very supportive of my dream: in fact they were one of our first major business contracts! One month later, I started at Khayelitsha Cookies. While theoretically I was covering sales and marketing, from day one I took on the role of general manager, running the business in every single aspect, including obtaining food safety accreditation, budgets, operations, sales and marketing, key accounts development and (last but not least) infrastructure development! The company was in debt and times were very tough. The main challenge was, and still is, that a machine can make in one day what takes us up to 40 days to produce by hand. People aren’t prepared to pay more for a hand-baked, hand-packaged cookie than a machine-baked one. Productivity-wise, the more people we employed, the less each person produced! We discovered that the slowest women produced 800 cookies a day, while the fastest produced 2000. I worked for the company for seven years and by 2013 we’d accumulated such losses that we were near closure. This would have put 52 employees out of work. There seemed to be no solution to our problems. One desperate day, I went home and prayed. I felt God pointing me towards a verse from the Bible, Leviticus 26:10, which states that if you remain obedient to God, He will bless you so much. Then I sensed Him telling me to offer the owners R1 to buy the business. It would mean taking over a debt of R2.5 million for a technically liquidated business that wasn’t worth even R100,000, but I did it and they accepted my offer, making me overwhelmed with joy and fear all at once. It was a huge risk and I wouldn’t recommend anyone doing it lightly! In order to survive, we had to start thinking like a machine production facility while still using humans. We set up systems individually monitoring each woman, which caused havoc and ended up at the CCMA (The Commission for Conciliation, Mediation and Arbitration). However, we won this fight and numerous other fights. Eventually we introduced an incentive where women who reach their targets go home as soon as they are done, and are still paid for the entire day. The end result is that most employees go home by 2pm, and we are producing efficiently enough to break even monthly. To grow the business, I spent a lot of time on my knees (praying!) then knocked on all the hotel doors: most of our cookies are individually wrapped, perfect for the hospitality industry. Protea Hotels and Spier were the first to give us an opportunity to supply them with our cookies, and Ciro Coffee assisted us with an entry into Tsogo Sun Hotels. 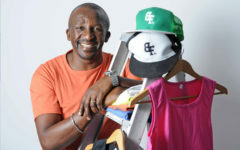 We encountered resistance initially, as people didn’t know the brand and didn’t understand what we were doing, but the product has developed into a well-known, established South African brand that still supplies Tsogo Sun Hotels and has added customers like Bidvest Food Services. We make a whole range of biscuits, from heart-shaped chocolate brownies to wholewheat buttermilk rusks. Some of our recipes are from the original American owner, others from my grandmother! 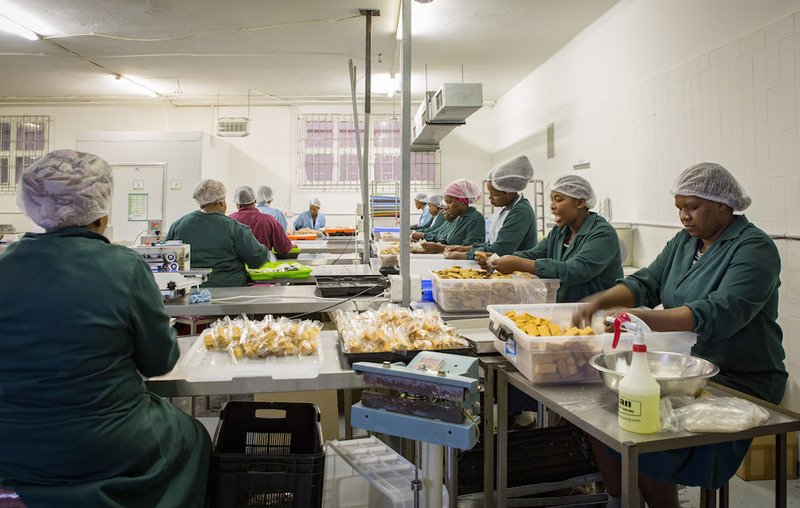 We bake around 70,000 cookies per day with a team of just over 90 people. We’re 51% black-owned, over 90% female-owned, and our employees have a 30% shareholding in the business. 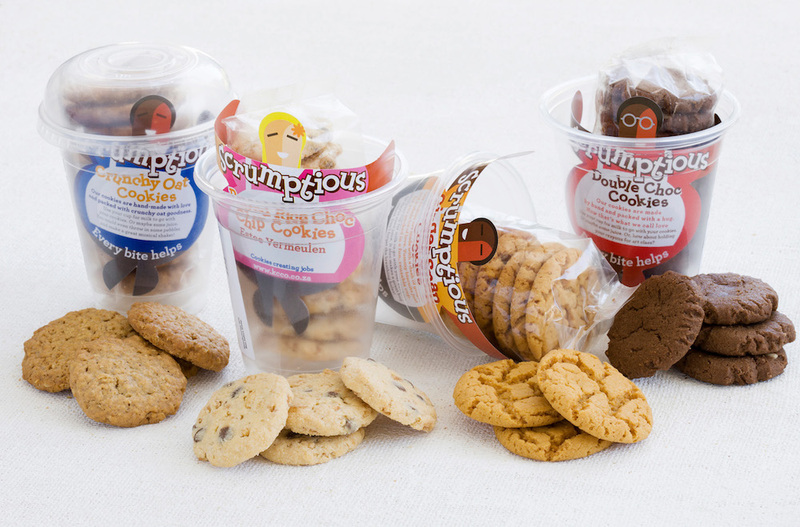 We’ve just launched two new ranges: Scrumptious Cookies and Purity baby cookies, and were thrilled to have Oprah Winfrey’s production crew snacking on our goods when they were over here. Since 2013, we’ve reduced our debt by R800,000, which is miraculous, and I aim to settle it by 2023. We’ve won several national awards, including the Van Rhyn BQ Best Employer award, and we’re fundraising to buy our own facilities as we’re bursting out of our current ones (plus renting reduces our potential profits by 30%). Growing our client base is literally me doing the marketing, sales calls and presenting. It’s tough getting business. I still don’t earn the equivalent of what I did 10 years ago, but I do wake up excited every day! Success for me is employing the next woman, and seeing her expression when she’s handed her first salary and can afford things for the first time in years. 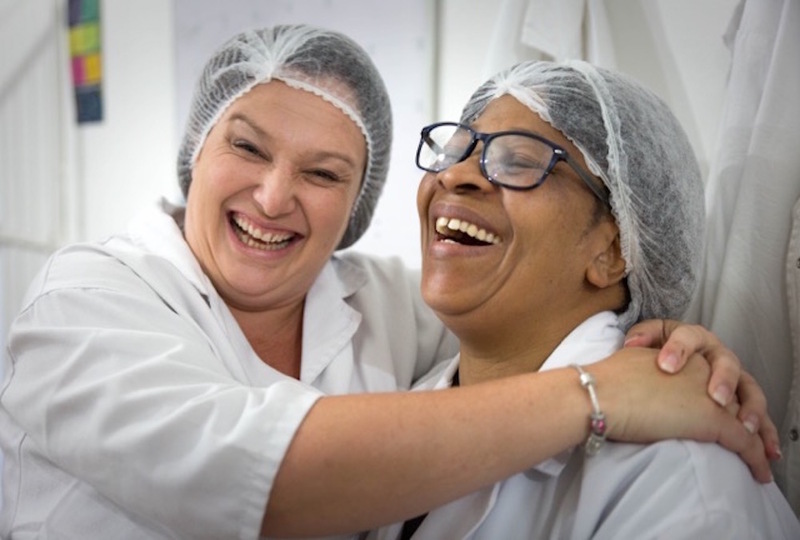 Khayelitsha Cookies has changed the lives of many of its employees who had never worked before as they couldn’t read, write or speak English. It makes me so happy to see how life has changed for someone like single mother Nolovuyo. 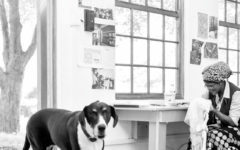 She hadn’t been working for us long when her vibrant personality and leadership skills became evident. Within two years she became supervisor, her sister joined us, then another sister. Now the three of them have built a house for their mother and themselves, and are paying for the fourth sister to study further. 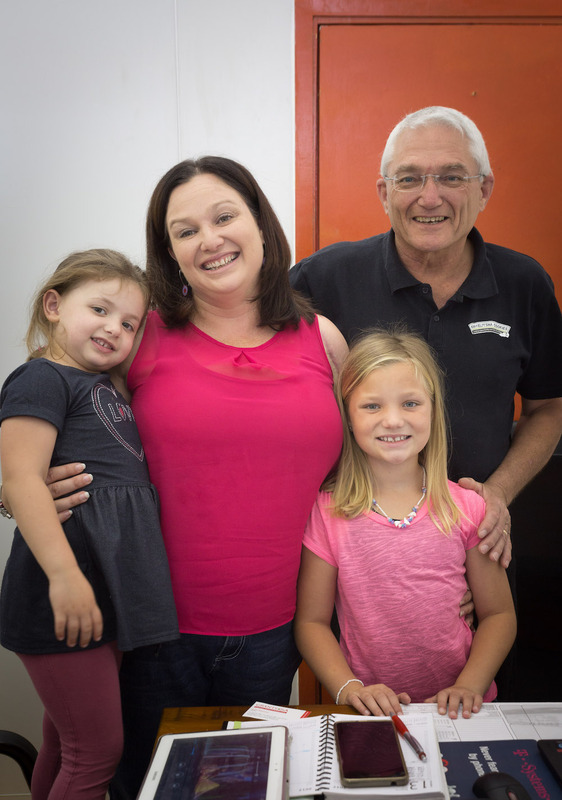 Many of our employees’ children were only having one meal a day – given to them by their school – so with each employee feeding an average of six people, about 700 people are now being fed on a daily basis who would otherwise go hungry. All this doesn’t mean that this is an easy task, though. I’ve had to use my house mortgage, my assets are few and my sleepless nights are many. But knowing that there are more children out there going to sleep with food in their stomachs stokes my passion for the business. I manage the stress by having business meetings with God – He’s my CEO! I lay my books out, pray and have a conversation with Him. In 2016, I was involved in a car accident when a back tyre on my car burst. My car went out of control and I was trapped in the wreckage for two hours. The doctors wanted to amputate my one arm and told me that the other one would be paralysed. I now know what it means to feel 100% helpless. After fervent prayer, ten surgeries and excellent medical care, I still have both my arms and the movement in them is improving. What I’m really proud of is the way my staff stepped up to the challenge of running the business. Initially we had business meetings at my bedside, and now they drive me to work, as I don’t have full capacity in my arms. In 2019, we’ll be launching a new range of cookies with a twist in Pick n Pay’s Pick a Local, Pick SA collection. 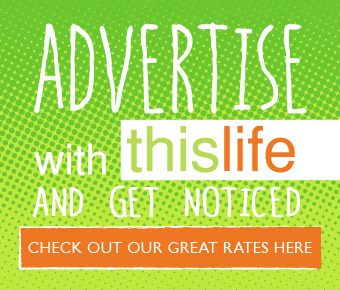 They’ll be unlike any other in the industry! I dream of being able to grow more, employ more people and aim to be employing those 1 000 women in my original vision within 10 years. Then I want to establish Khayelitsha Cookies on the world map and export. 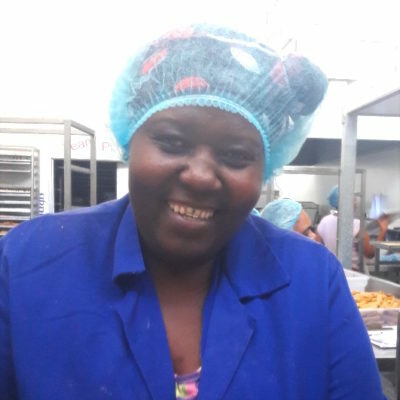 By buying and enjoying our cookies, people are helping create jobs and helping a full-time job become a reality for an unemployed person: alleviating poverty one unemployed person at a time! 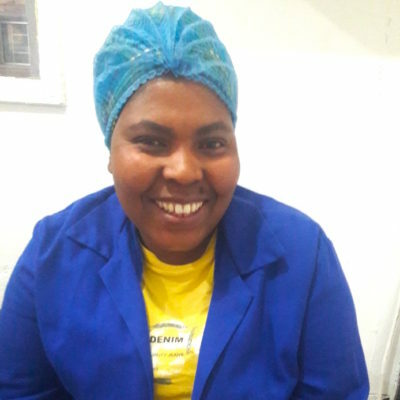 HOW HAS KHAYELITSHA COOKIES CHANGED THE LIVES OF THESE THREE WOMEN? 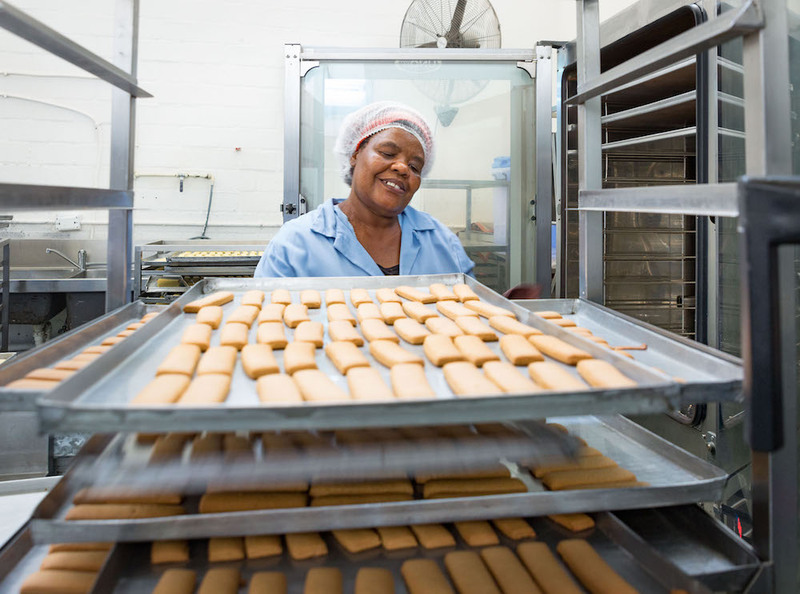 Watch the ladies of Khayelitsha Cookies in action! 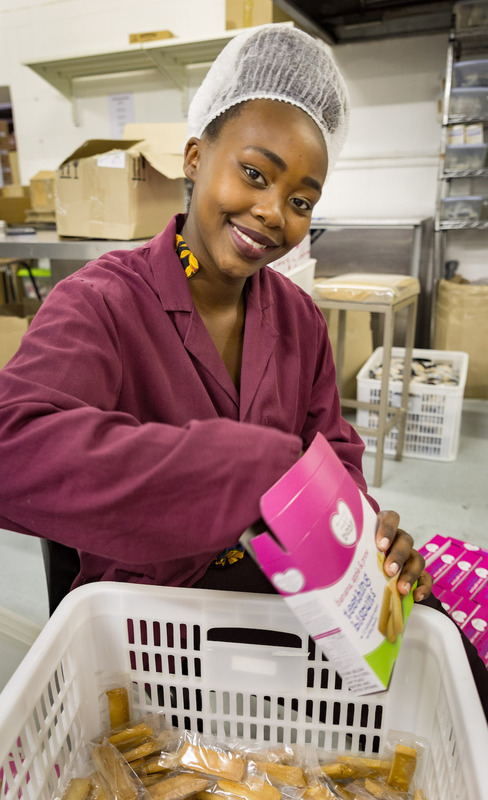 FEEL MOVED to support the women of Khayelitsha Cookies? 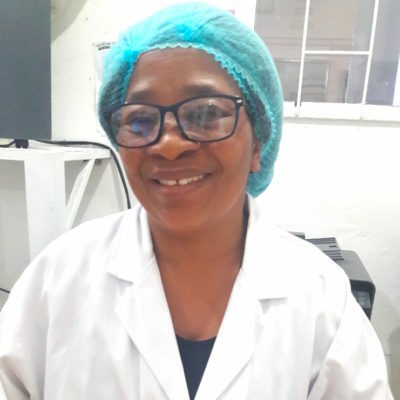 Click here to join their Wall of Fame by buying a brick @ R36 for their new factory, getting them closer to their goal of employing 1 000 women. ARE YOU A CONTRACTOR? How about helping this company (which has a top BBBEE rating) with its factory relocation wish list?